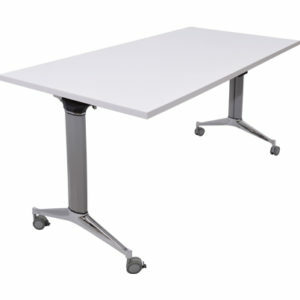 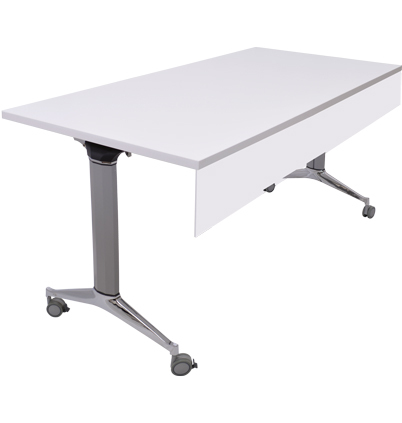 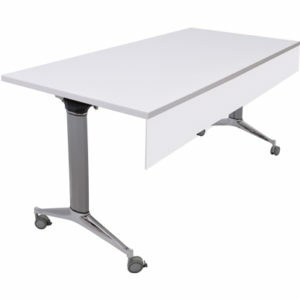 Reflect™ Training Tables are designed to bring a bit of elegance into your training or meeting room, while providing flexibility at it’s finest. 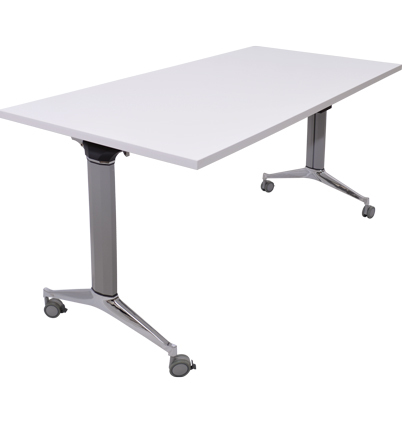 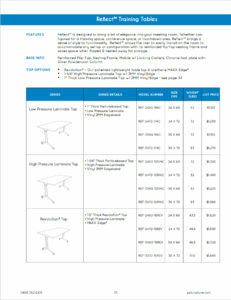 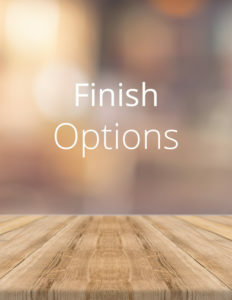 Whether configured for a training space, conference space, or touchdown area, Reflect™ Training Tables bring a sense of style to functionality. 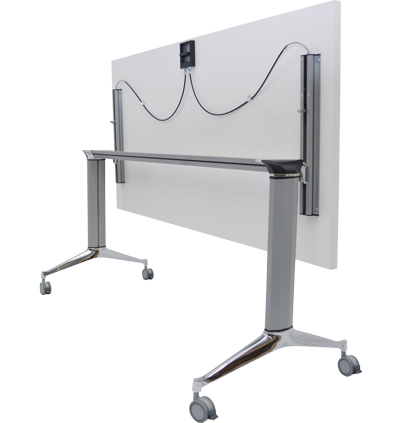 They allow the user to easily transition the room to accommodate any set-up or configuration with their reinforced flip-top nesting frame that saves space when flipped & nested away for storage. Reinforced, flip-top, nesting frame provides flexible portability & storage. 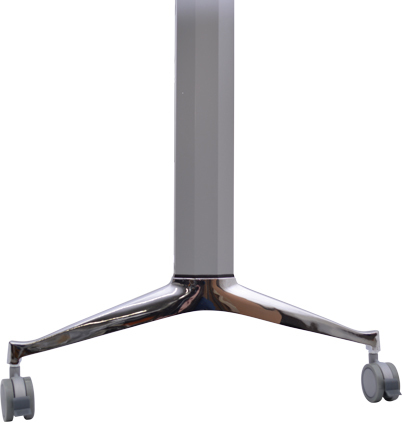 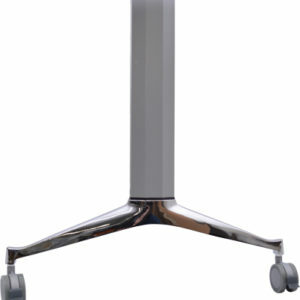 The locking casters offer ease of mobility with an elegant chrome foot plate and silver powdercoat column.